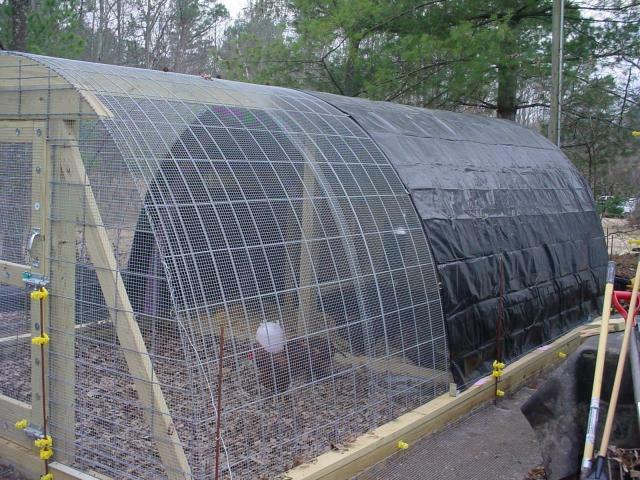 Hoop coops are known for being relatively inexpensive and easy to build. 2. Starting at the front wall (you decide) place 52" cattle panel (short wires facing down inside- long wires facing up outside) on screws (the welds will be facing the ground not the sky) that you put into 4"x6"x16'. Now spring panel into the opposing 4"x6"x16' and also rest onto screws. Make sure panel is all the way up on the 2"x6"x10' on the front wall. 3. Continue to add the panels. 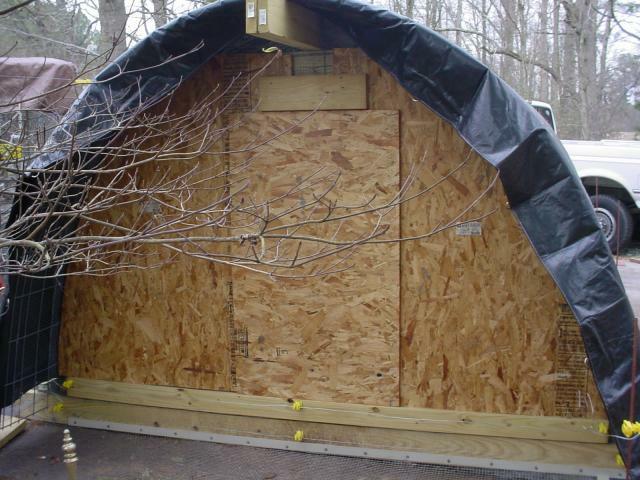 Be sure to keep in mind the last one will have to be notched to clear the 2"x6"x10' at the rear of the base. 5. 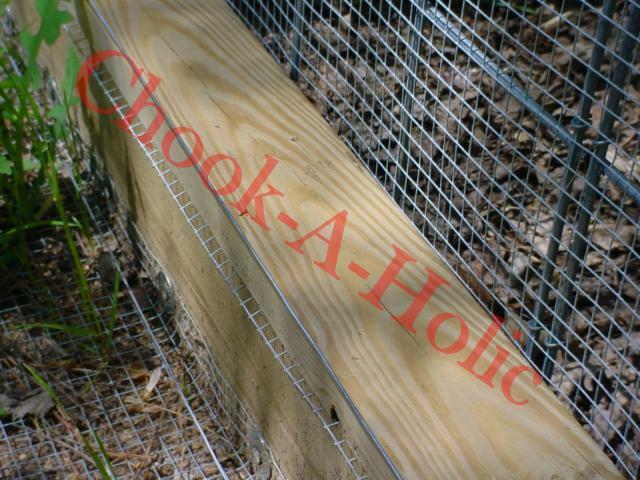 Using 1 ½ Galvanized Staples, staple the panels along both 4"x6"x16's on both the horizontal and vertical wires of the panels every 6 to 8 inches. 1. Make a mark on both 4"x6"x16's 8" from the inside of the front wall. This will be the center of the double base joist you are about to install. 2. Screw 2- 2"x6"x8'8" together. 5. Spring the double joist into place (center with the line). 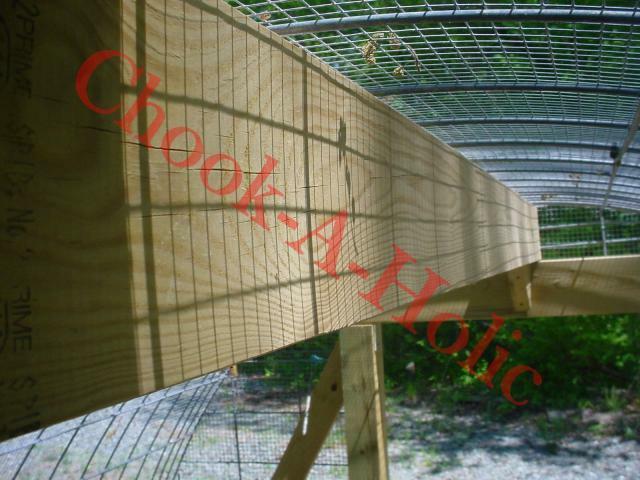 Using 3 ½ "screws secure the 4"x6"x16' on both ends. 6. 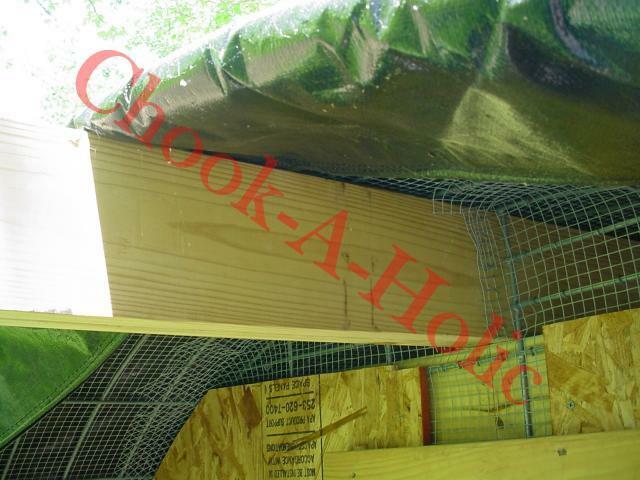 Slide the joist hangers into place at the 4'x6'x16's and screw into place. 7. 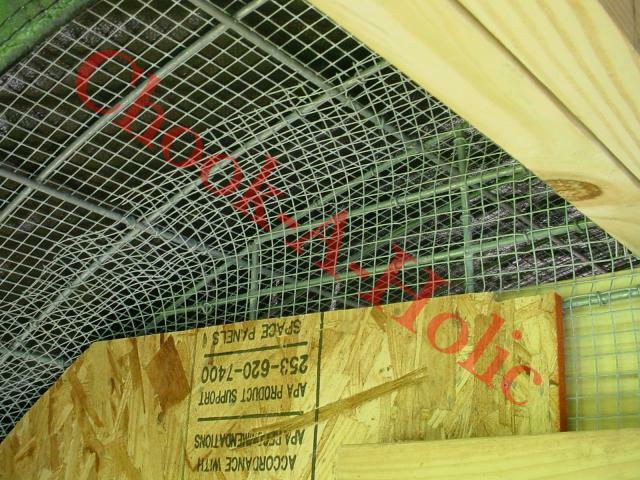 Notch and attach 2"x6"x8'8" joist to both the 2'x6' and 4'x6' on both front and rear walls. 1. Cut each 4"x4"x6' post to a total length of 62"
2. On one end of each 4"x4"x6' mark a line at 5 ½ ". Mark this line down the 4"x4"x6' 1 ½ "deep on the sides. Then back to the end. This is the area you will need to cut out. 3. Using the centerline one the end walls (that you used to measure for the 4"x6"x16') measure 15" to each side of the line giving you a total of 30" and mark them. 5. Cut 4 2"x6"s 58" long. Mark a centerline at 29". You will need this center line to get the angles for the header. 7. Fasten two of the angled 2"x6" you just cut to make a header. Do this twice, once for each end. 8. From the centerline of the header, mark 15" to each side. At the bottom of the 58"side you attach the 4'x4' to the outside of these lines. 9. Center headers with the 4"x4"s and attach it. 10. Check the panels to make sure they are perfectly centered and that the header is not springing it out of shape. You may have to trim the very corner at the bottom of the header so that the panels are resting on it but not under any tension from it. 11. 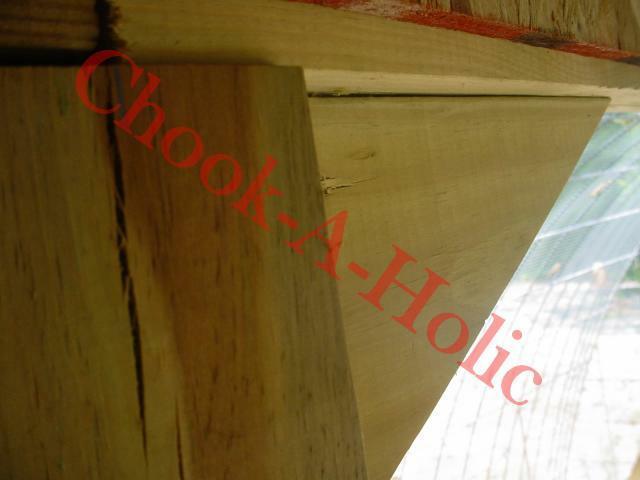 To make sure the angled 4"x4" side support braces, hold a 2"x4" at an angle on the face of the end wall from the corner where the header meets the 4"x4" down to where the inside joist and Cattle Panel meet. Mark, cut, and install these braces. 1. A center double base joist measure from either 4"x6" to 52" and mark center. 2. Cut 4"x4" to 62" and mount on centerline of Double Joist. 5. Set the 8' double girder on top of the front wall header and half of the 4"x4' center post. The girder should be flush with the outside of the header. 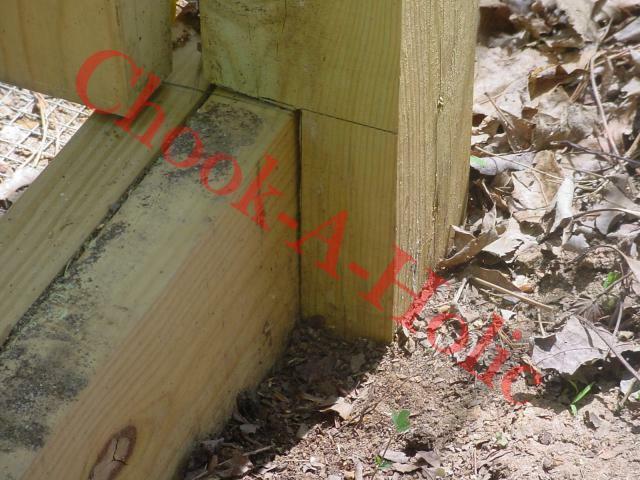 Make sure both the front wall and center post are level before securing with screws. 6. Set the 10' double girder on the other half of the top of the 4"x4" and over the header of the rear wall. Attach it to the already leveled 4"x4" center post first. Then level the rear wall if needed and secure it to the header. There will be approximately 2' of girder past the header. You can cut it off even with the Cattle Panel or just leave it. 7. Install 4 gussets. 2 on each end wall from the underside of the girder and the face of the header. And 2 on each side of the face of the 4"x4" center post to the underside of the girder. These will stabilize the girder even more. 8. 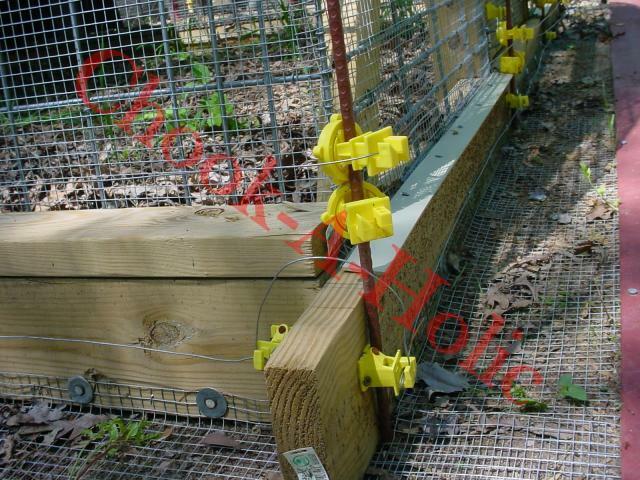 Using the 1 ½ "Galvanized Fence staples; attach the cattle panels to the top of the girder. 1. Cut a cattle panel to 8'7 ½" so that the bottom of the panel rests on the seam of the base/ frame joist and against the front wall framing. Trim to fit radius, and cut out for door of front. Rear also if door on both ends. 2. Take short end and hold from top of girder (just under hoop panel) and cut to fit radius. Cut off panel where it meets the bottom panel. Also, don't overlap with panels to prevent bulge in hardware cloth. 3. 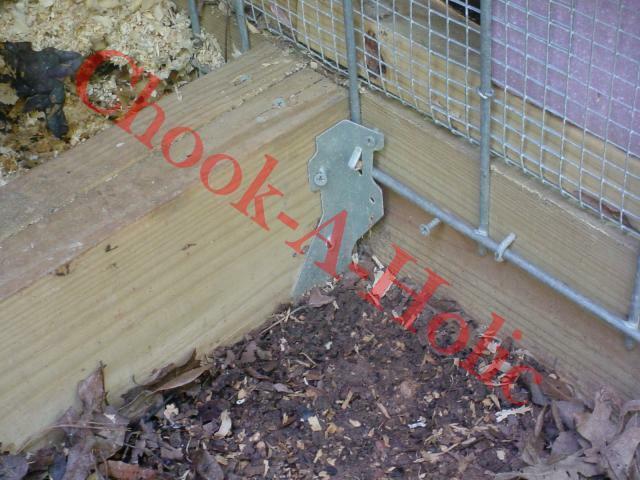 Attach panels after fitting with 1 ½" galvanized fence staples to the framing. 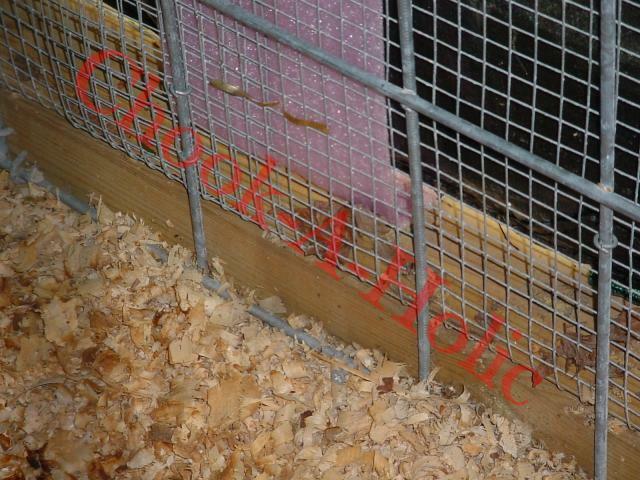 *** Please note: Follow these steps carefully as the Aesthetics of the entire coop will be affected. This is due to the inside of the roll of hardware cloth being rolled tighter toward the inside of the roll itself making it harder to tighten properly. You can actually get by with 2 rolls of hardware cloth and a 25' roll, however you are going to find it impossible to get the pieces from the inside of the rolls to lay flat. 1. Using Two of the rolls, unroll and cut 2 pieces 16'6"on each roll - leaving 17' on each roll. 2. Using the third roll, unroll and cut 1 piece 16'6"- leaving 33'6" on roll. 4. On the third roll cut, unroll and cut 2 pieces that are 9'2" long. 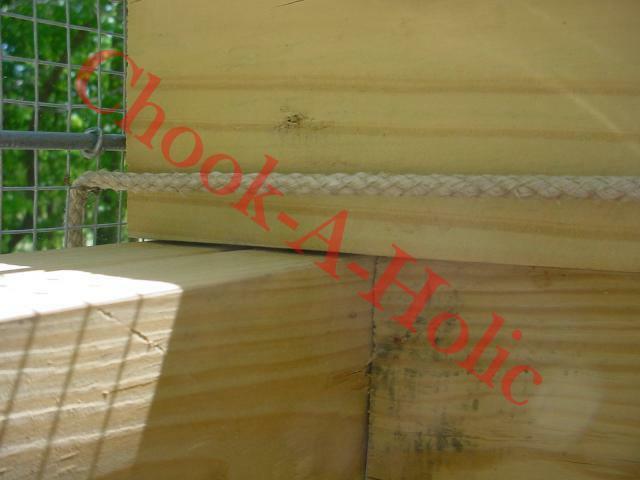 (one each for the bottom of both front and rear wall)- leaving 15'2" on roll. 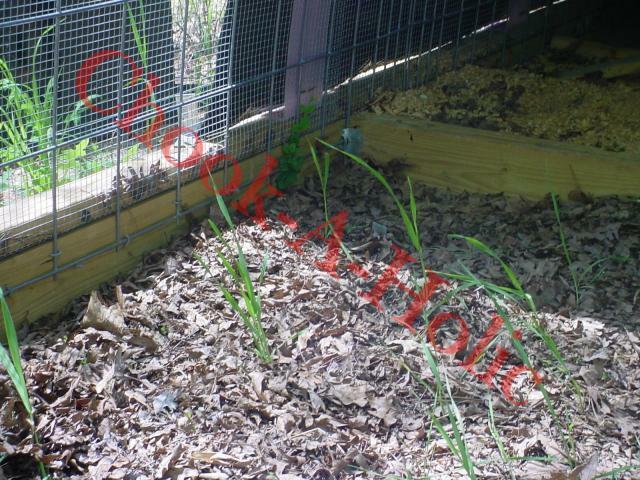 **Put cut pieces aside in steps 3 and 4 for use in the later step of "hardware cloth- end wall"
1. Start first piece of hardware cloth (16'6") with the outside of the edge of the front cattle panel. Make sure it's centered side to side leaving extra to fold flat to the top of the 4"x6"s on each side. 4. Go along the outside sides and fold the hardware cloth as flat to the 4'x6' and the cattle panel as you can. You may find it helpful to use a stiff wide putty knife or flat stock to tuck hardware cloth into the fold where the cattle panel goes inside the 4"x6". As you get the hardware cloth flat to the 4"x6", staple it down with a staple gun. 5. Starting at the front wall lay a 2"x4"x8' on top of the 4"x6" sandwiching the hardware cloth in between. Using 3 ½" screws, every 12"- 18" pull the 2"x4" down tight to the 4"x6". When properly installed the 2"x4" will e setting perfectly flat and flush with the side of the 4"x6". You may have to back the screws out a time or two to get the 2"x4" properly aligned. 7. Trim off any excess hardware cloth that may be sticking out past the sandwiched edge of the 2"x4"s and the 4"x6"s.
8. Using Loxit rings, crimp them as needed (be generous) to clamp the hardware cloth to the cattle panels. Paying special attention to the seams and rear edge. 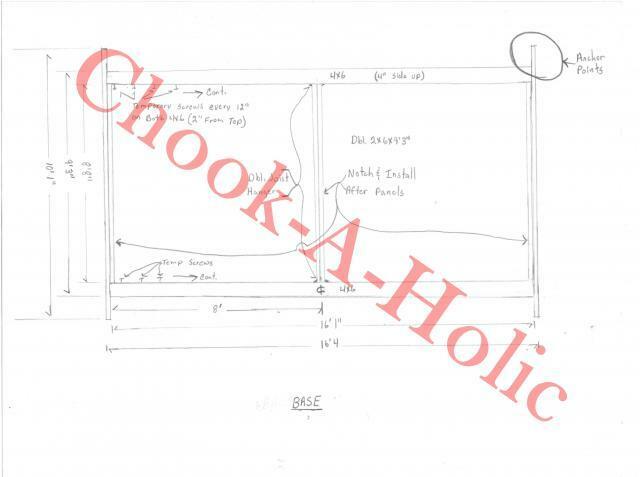 Keep in mind, when doing the front edge you will be attaching the hardware cloth for the top and the hardware cloth for the front wall to the same cattle panel wire. They can be clamped together with the same loxit ring if desired. 9. At rear overhang, after crimping loxit rings to the last outermost wire on the cattle panel, trim the hardware cloth 3" past the cattle panel. 10. Notch and remove the 3" piece of hardware cloth that is overhanging the cattle panel above the girder only (piece is 3"x3") and discard. 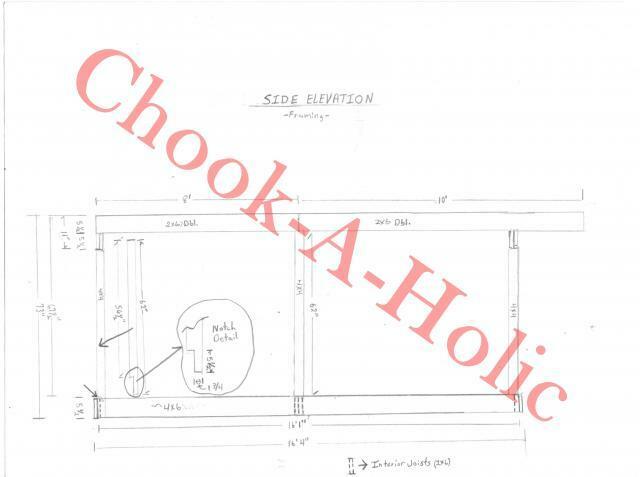 *hardware cloth should only be flush with cattle panel above the girder only. 11. Now fold the 3" overhang of hardware cloth folding it up under the cattle panels throughout the radius. You will now see why you cut out the small piece above the girder, as you can't fold it there. 1. Fold 2 of the 9'2" length of the hardware cloth 1 ½" at a 90 degree angle at the bottom. This will leave the hardware cloth 46 ½" with a 1 ½" flange. 2. Center and set the hardware cloth with the 90 degree fold out on the top of the base with the 46" against the wall. 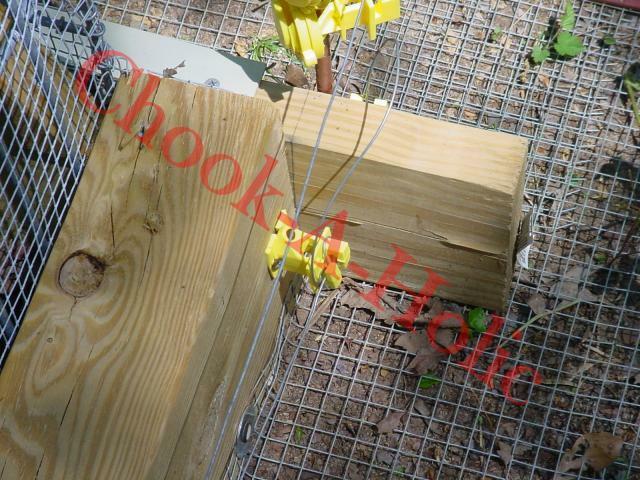 Staple to the base then working from the center attach to the cattle panels using loxit rings. *** Please Note: Keep in mind at the rear wall due to the overhang the end wall hardware cloth will have to be cut and folded to fit inside hoop. 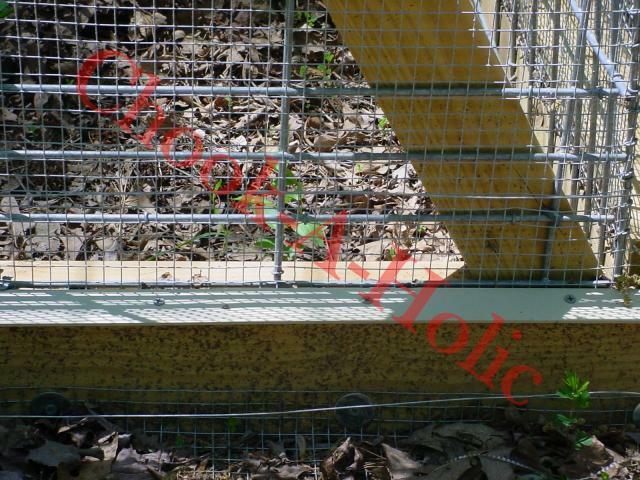 Attach to both end wall and top cattle panels using loxit rings. This applies to both the top and hardware cloth. The top rear hardware cloth will also have to be notched and folded so it can be fitted and attached to the rear girder. 3. Attach the top hardware cloth on the end wall beginning at the 1st cattle panel wire below the top of the bottom hardware cloth. There should be at least a 4" overlap. 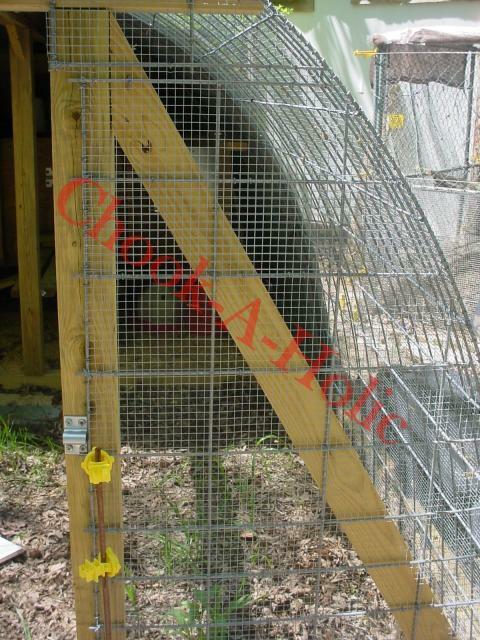 If not, lower it to next available cattle panel wire on front wall cut 2" above radius and fold over the top. Light hammering may be necessary. Now use the loxit rings to crimp the hardware cloth and front wall hardware cloth to the corner cattle panel wire. 4. Cut out door opening. 5. At bottom use screws and washers or a flat metal strip with holes to secure the bottom 1 ½" of hardware cloth (you folded out) every 6" to the base. You have now completed the basics of the hoop coop. There are many preferences to building and installing the door so I didn't include guidance for this. 1. 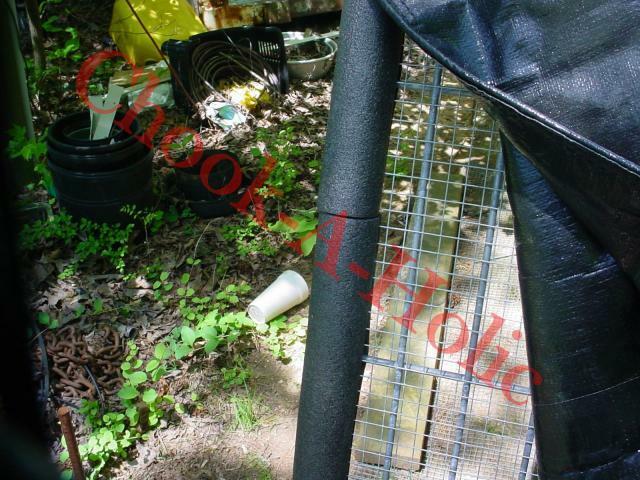 To prevent chafing of tarp, lay 6" sill plate sealer gasket (50' roll for $5.85 at Home Depot) on any hardware cloth seam that the tarp will be covering. Staple it to the top side of the 2'x4's that hold down the hardware cloth. 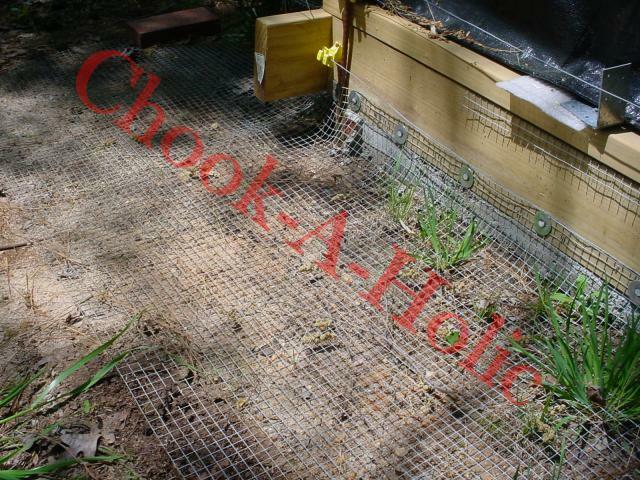 If hoop coop is built exactly as this guide describes, you will have 4 anchor points if you desire to permanently attach it to the ground at the corners. Due to the hard clay in the area, I chose to use the 24" hardware cloth as an apron rather than digging a trench and installing the wire into the ground. 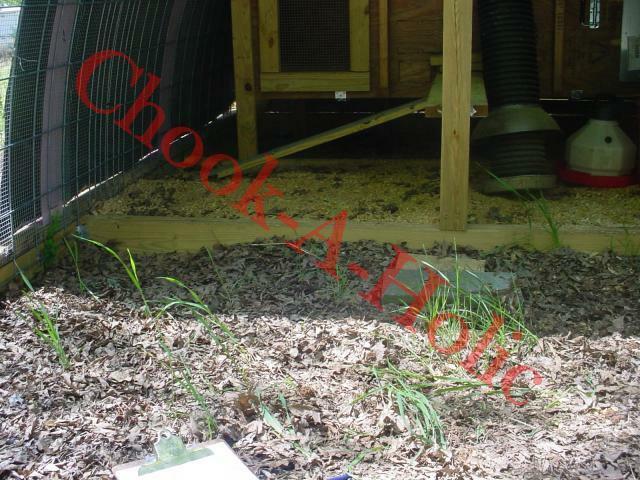 I added 2 strands of electric wire around the perimeter of the hoop coop just to keep predators from snooping and possibly frightening the chickens. Huddle Box installed. Please ignore the boards laying on the top, they were later used for the two ramps into the huddle box. This was a very exciting project. Although challenging at times due to the bad weather it was worth it in the end. I will definitely be building more like this one. It is very heavy duty and will stand the test of time. I just hope I don't need to move it anytime soon. Kseale1986, Alyssavasquez, Cayuga momma and 19 others like this. 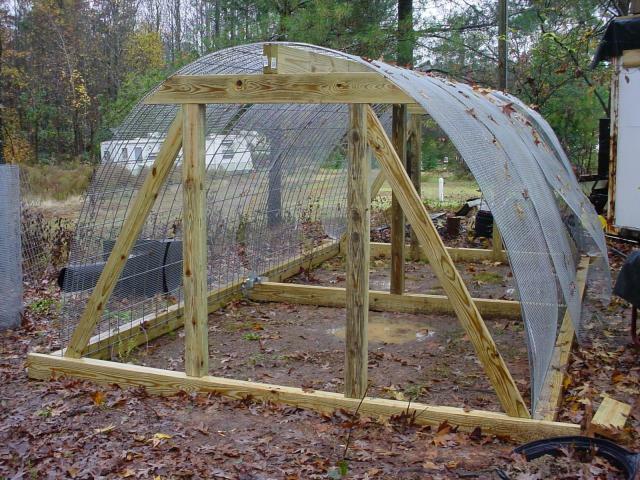 Excellent description of how to build a permanent hoop coop. 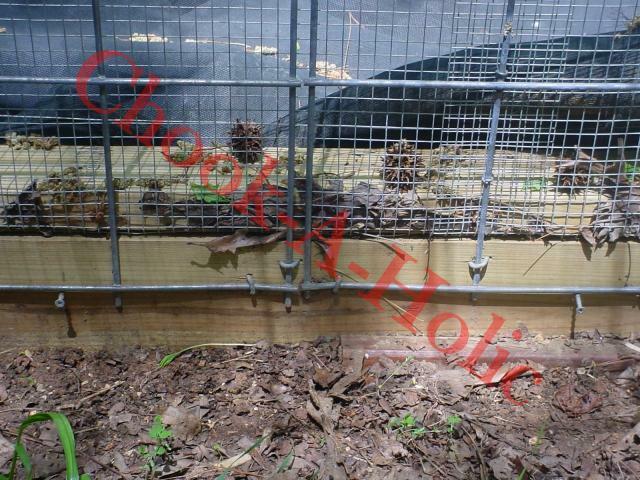 The materials list and steps are clearly described and the photos were helpful is showing each step. Being as the cattle panels are the only real rigidity along the length of this design type, how durable is it? 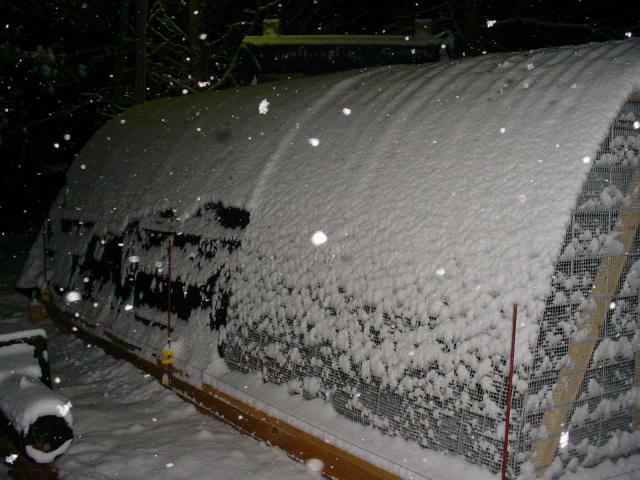 Can it stand up to say snow loads and wind? I see some that wrap the panels over conduit hoops and some without. I'm thinking about using this stuff for a long 20 foot run off the coop house. How do you put tension on the tarp to keep it taut so the wind doesn't rip it to shreds? This looks amazing! It seems like it would be a perfect fit for a High Desert coop as well. Would you happen to have a rough material cost estimate? Love this! Thank you so much for sharing. I think this will be my next project. 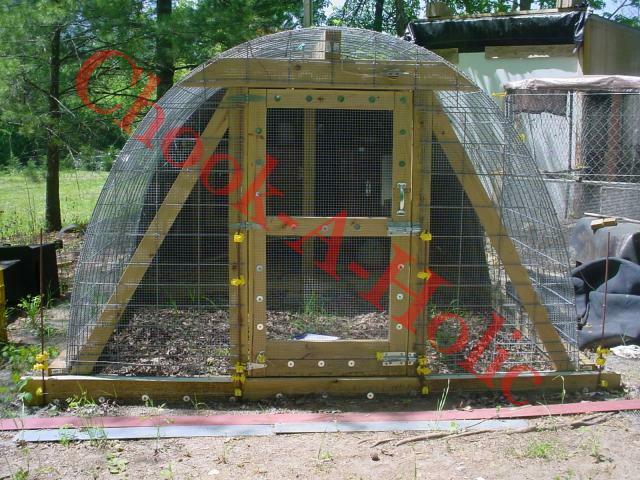 My husband told me this is close to what he wants for a chicken coop. This is awesome!! 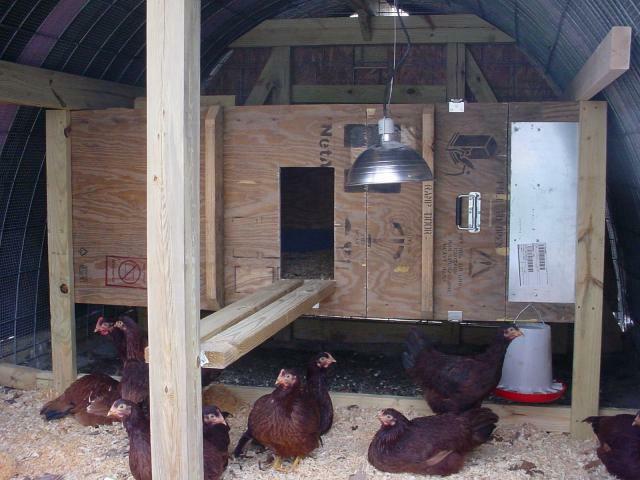 Any idea on the budget for this coop? Round about? This coop is awesome. I built one similar. Great JOB. Built one using your concept some slight modifications. I used 2x6 and 2x4 construction, and it is set up to be a very big tractor. 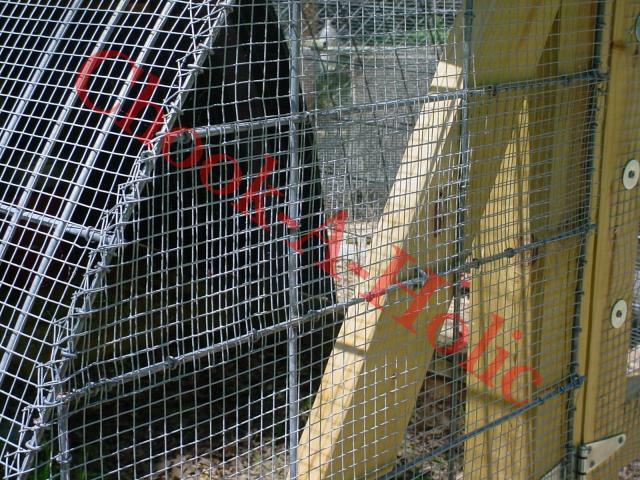 so it is 8' W x 18' L x 6' H, 6 nesting boxes, suited for 40 to 50 birds. Thanks for the plains very helpful. Hi. What size loxit/hog ring did you use? Thanks for any information you can provide. I am loving this design for just about everything! Really nice job! Cattle Panels... My new best friend! 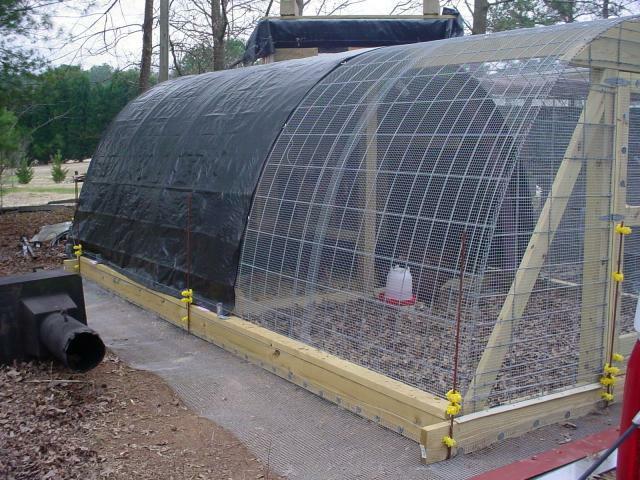 From greenhouses to chicken coops to lean-to's to goat sheds and anything else you can think of! Love it, love it! Love it! How many chickens does this hold. much nicer than my coop. I wonder if this could be made without help. It would also make a great greenhouse. Thanks. Looks great and functional....if you don't mind, could you give an estimate of the cost of materials? 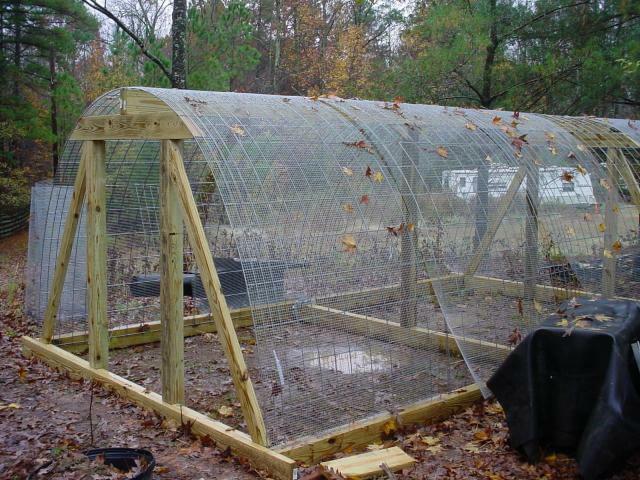 WESOME hoop house, nice and cleanly done. Would also love to see some recent photos. This would be a great meatie coop - thanks! 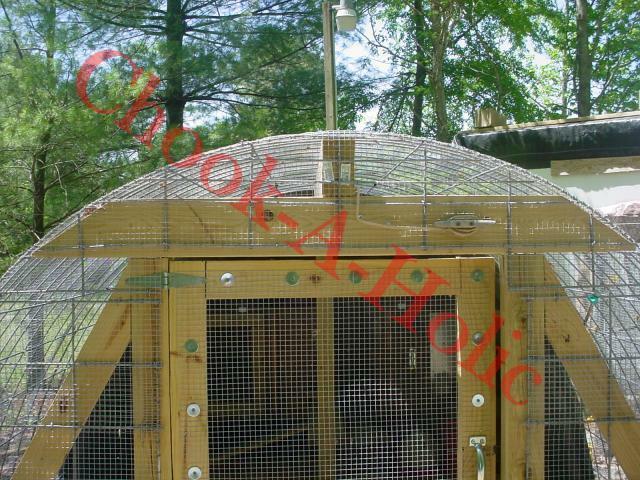 Thank you for sharing the details on how to construct this sturdy and well-built coop. I see a project in my future. I love it! Maybe I'll give it a shoot! I am so jealous. Looks perfect! I agree. Fantastic. Don't have to worry about these chickens. Cattle Panels- Hoop- place mine to low and had to modify the center support...used a 4x4 worked great. Thanks again. Curious? How hard to you think it would be to make it a bit longer? maybe another 8-10'? Just adjust the measurements? what do you think? Wonderful. 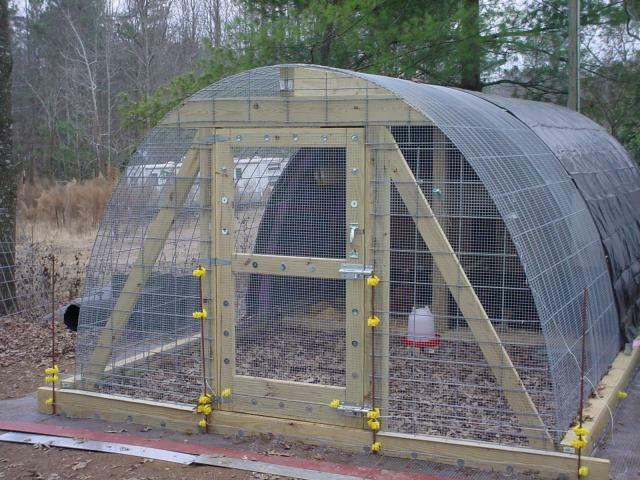 I am getting turkeys and plan to build this to house them. I am so excited. Did you insulate the "huddle box". I will be using this year round. I am 50 miles from Canadian border and we do get cold and snowy winters. Your instructions are great. 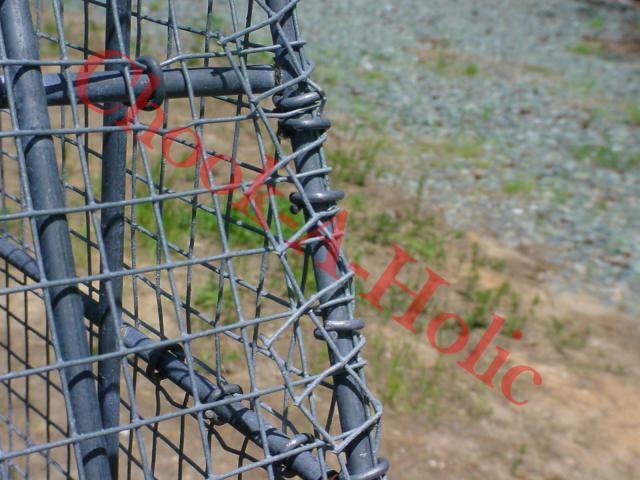 Like very much the use of the heavy gauge wire as the frame! Great concept and instructions. Thanks for sharing and contributing to the community! Very cool. I might build one. Thanks for the comprehensive material & direction list. What would you recommend to build it on a slope? Will come to Calgary and build me one? I absolutely LOVE this coop. Your instructions are perfect. Thanks so much for documenting this for us!